OEM and ODM are two important terms widely used in the manufacturing sector. OEM stands for Original Equipment Manufacturer and ODM stands for Original Design Manufacturer. While many people confuse between the two terms and use them interchangeably, they are not quite the same. There is an article in our blog section dedicated to tell the difference between OEM and ODM. In short, OEMs manufacture product based on design specification provided to them, while ODMs also design the product themselves before manufacturing them. OEMs are companies which manufacture an OEM-product-the designs, functions, colors and materials which can be customized according to the requirements of the buyer. The services that the companies provide are also refer to as OEM services. ODMs designs and manufactures products on their own. These companies are in charge of R&D, concepts and manufacture of the products required by their client. The main distinctive part from OEM to ODM are the designs. Most of companies with design and prototype will choose OEM only for mass production while ODMs are the options for those who wish the manufacturer also providing a design solution or a prototype. This type of services is called ODM services. As an OEM/ODM service provider, China Sourcelink has a very strong engineering and R&D team together with our own manufacturing facility and factory in house. Our featured industry is consumer electronics, but we extend our services beyond the scope of electronics and extend to LED lighting, solar panels, cosmetics, food, beverage and medical packaging (plastic injection mold), automobile accessories and tools, constructional materials, and more. We have partnered also with reliable manufacturers in China to provide solutions in those industries to our customers. For electronics, Our OEM and ODM services cover the complete spectrum of the product life cycle from concept to design through manufacturing and after-market services. Our engineering expertise encompasses PCB design, fabrication and assembly, electronic prototyping, customized software design/testing and more. This expertise provides an end to end turnkey solution for companies seeking full product development services from a single source. Our capabilities cover the complete life of a product from concept to design through manufacturing and life cycle management. We have developed and worked with projects in Internet of Things, Smart home products, and more in consumer electronics. We have also helped business or corporation with our solution to their projects. OEM services focus on the mass production which has the specs and design provided by clients. The image is an example of OEM vehicular wheels with Honda. 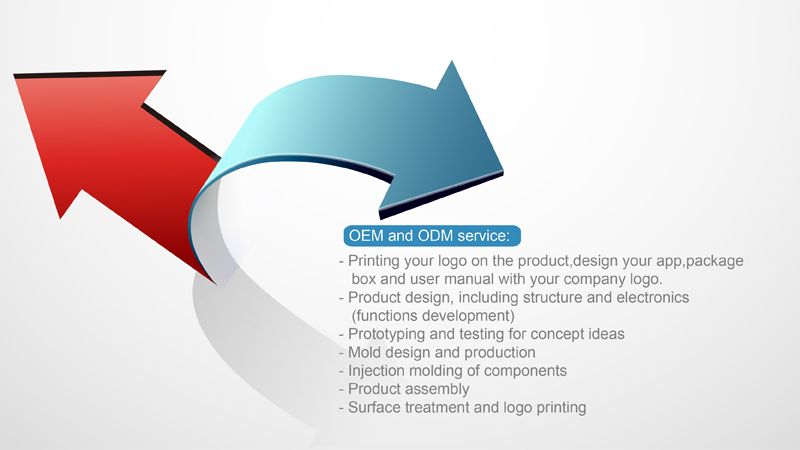 ODM services focus mainly on the design and prototyping part of the product which is the distinct part set it apart from OEM. PCB design is normally the starting point of an ODM electronic project. Smart Home, Internet of Things, Cellphones, and Mobile Accessories. Cosmetics, Food, Beverage, and Medical Packaging.